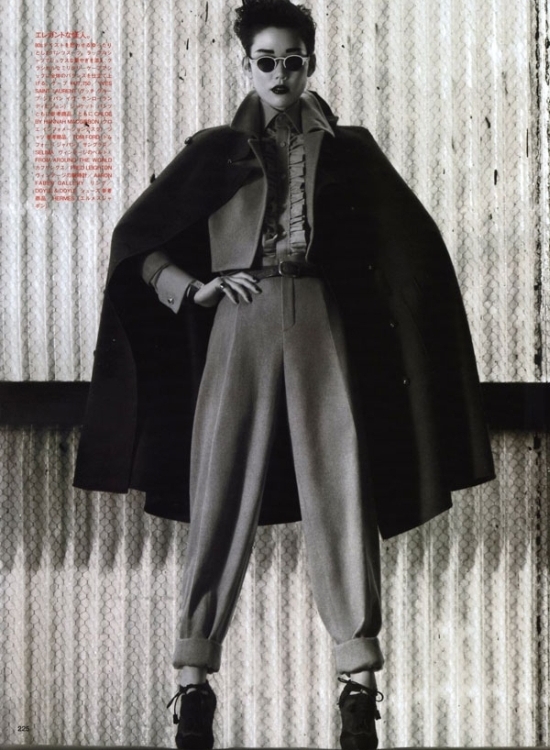 The Kiss of Demons is a striking fashion editorial on masculine tailoring in fall 2009 women's trends. Shot by fashion photographer Mark Segal, styled by George Cortina and starring beautiful Japanese topmodel Tao Okamoto, the editorial was published in the November 2009 issue of Vogue Japan. Tao trades her delicate but cool femininity for a badass androgynous look while sporting some of the greatest menswear inspired pieces.